Learn more about numbers, variables and arrays when programming in C.
If you have studied the Introduction to Programming in C course available on Alison it is now time to further enhance your C programming skills by studying numbers, variables and arrays and the functionality they have in computer programming. 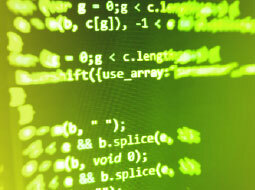 In this C programming course you will gain a much greater knowledge and understanding of numbers, variables and arrays. You will learn more about the basics of numeric overflow and how numbers are encoded as characters in ASCII. You will learn more about variables and the connection between function return values and variables. You will also review the use of arrays and pointers, how to create a pointer in C, and assign a value to a pointer. This C programming course will be of great interest to IT professionals who want to enhance their knowledge and understanding of the C programming language and its functionality, and to those learners who want to follow on from the Introduction to Programming in C course.